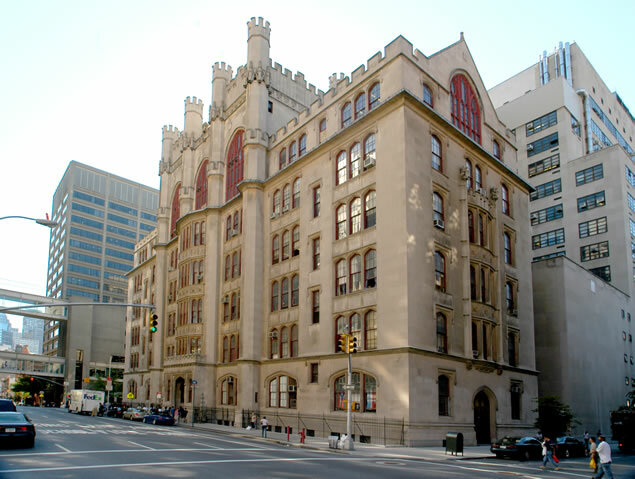 The Language Acquisition Research Center is at Hunter College in Thomas Hunter Hall. The front door of Thomas Hunter Hall is on the west side of Lexington Avenue, between 68th and 69th Streets. The Center is on the fifth floor, room 514. For Parents: One of our staff members will meet you at the front door of Thomas Hunter Hall to give you access to the building. For other lab visitors: Other visitors may enter via the West Building located on the west side of 68th Street. A visitor’s pass can be obtained from the front desk immediately inside the doors to the building. Then proceed up the escalator to the 3rd floor. When you get off the escalator, stay to your left and walk across the overpass crossing 68th Street. You will then walk into an open area, and you will turn right and walk through a doorway to the Thomas Hunter Hall elevators. You will then take the elevator to the 5th floor. We are located at the end of the corridor that has the locked door with the keypad. Ring the bell for 509 and we will let you in! To get to Hunter College by subway, take the 6 train and exit at “68th Street: Hunter College.” The 4 and 5 express trains do not stop at 68th street. The College is also served by the 65th street crosstown bus, Lexington Avenue buses, and 3rd Avenue buses.